Marcella is not a purist; she plays and produces house in almost every form. Minimal, tech, deep, vocal, UK or tribal house is in her playlists. Whatever suits her and what gets the crowd going. 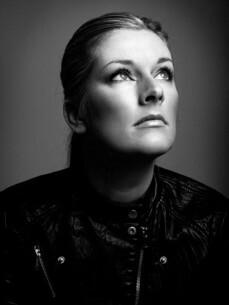 This is why she conquered the Dutch dance scene and became one of the most famous female dj’s of Holland. Marcella played in almost every Dutch club and on the biggest festivals like Mystery Land, Dance Valley, Sensation, Innercity, Welcome To The Future, Lovefields and Solar Festival. Marcella’s energetic dj sets and appearance where quickly discovered by international promoters and since then she travels to almost every country for her gigs. With the second Dutch wave currently in full effect, Marcella definitely choses not to join hands with Dutch (dirty) house or trance. The more deep and underground vibe of house and tech house has stolen her heart for a long long time now.